If you have seen a property you like please contact the Property Manager to arrange a viewing time. If you wish to rent the property you have viewed, the Property Manager will have pre tenancy applications on site or you can complete an online application form available on this web site. 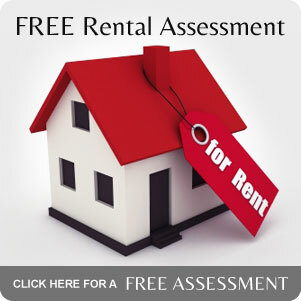 Quality Property Management Ltd has a policy to provide 1 set of keys to tenants on moving day. Once a tenancy agreement has been signed, your new Property Manager will arrange a date and time to meet you at the property and go over the completed initial inspection and supply you with the keys. Please be advised that Quality Property Management Ltd has a “No money, no keys” policy. When you move into the property, an initial inspection will be performed by the Property Manager and together you can check and confirm the condition of the property at the hand over of keys time. Once signed, the inspection report will be kept on file. We carry out periodic inspections every 3 months and you will be sent a letter prior to your inspection giving notice of the date and time of our visit. Your bond will be lodged and held with The Department of Building and Housing. At the end of your tenancy the Property Manager will perform a final bond inspection comparing this with the initial inspection from the beginning of your tenancy. If there are any issues at this stage these will be discussed with you before applying to The Department of Building and Housing for the refund of bond. When you sign your tenancy agreement, you will need to complete an ' Authority for Automatic Payments' form. In accordance with your Tenancy Agreement and under the Residential Tenancies Act rent is due and payable on or before the due date outlined on your Tenancy Agreement. Quality Property Management has a zero tolerance to rent arrears and failure to pay rent by the due date would result in proceedings through the Tenancy Tribunal.